for deals and latest information. a SILVER MEDAL WINNER in the Benjamin Franklin Awards for Mystery/Suspense. For the most part, the writing is excellent and the story is well-paced. alluring about that part of the East Coast that draws people. Tidal Pools by Lawrence Thackston. Good, very near top-ten if not actually among the favored. I wish I had time to savor it. Excellent first chapter. "Each wave that laps upon Lawrence Thackston’s imagination brings darkness and fear from an ancient spirit world that still exists on our moss-draped sea islands, between the tourists and the trinkets, in plain sight, almost unnoticed, until bad blood begins to boil. Tidal Pools is a great South Carolina story, well told, by one of our best. Enjoy." "Someone (or something) is killing the island population in Low Country South Carolina. If you enjoy a cleverly constructed, fast paced nail biter spiced by hexes, haints and hoodoo, this is your book. It will keep you guessing to the last page, and you can’t get there fast enough." 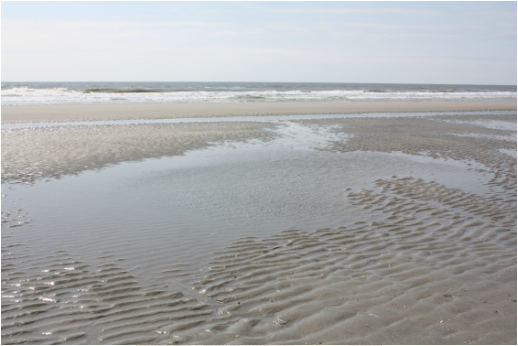 "Tidal Pools is a chilling mystery set along the distinctive shores of the palmetto state. A suspenseful page-turner filled with historical angst and eclectic characters, the plot will keep you guessing to the bitter yet poignant end. I highly recommend it." "South Carolina’s steamy Lowcountry is splattered with blood in Lawrence Thackston’s fast-paced TidalPools, which pits rookie police officer Tyler Miles against forces of evil that threaten to wipe out island inhabitants descended from slaves. Ritualistic killings produce a rapidly rising body count, and Miles learns that stereotypical thinking about black versus white, rich versus poor, and good versus bad won’t help him halt the carnage, because no one is what they seem to be. The taut, menacing mood and vivid setting draw you in, and hoodoo, voodoo, and dirty bombs keep you reading." "Thackston weaves an intensely menacing tale in an appropriate setting--a remote island, lush and primitive. Ancient rituals rule here as a rookie policeman tries to make sense of a killer that fits no previous profile. A romance blossoms as a the young officer bravely forges through a web of superstition and violence to an astounding conclusion. Hold on to your seats!"